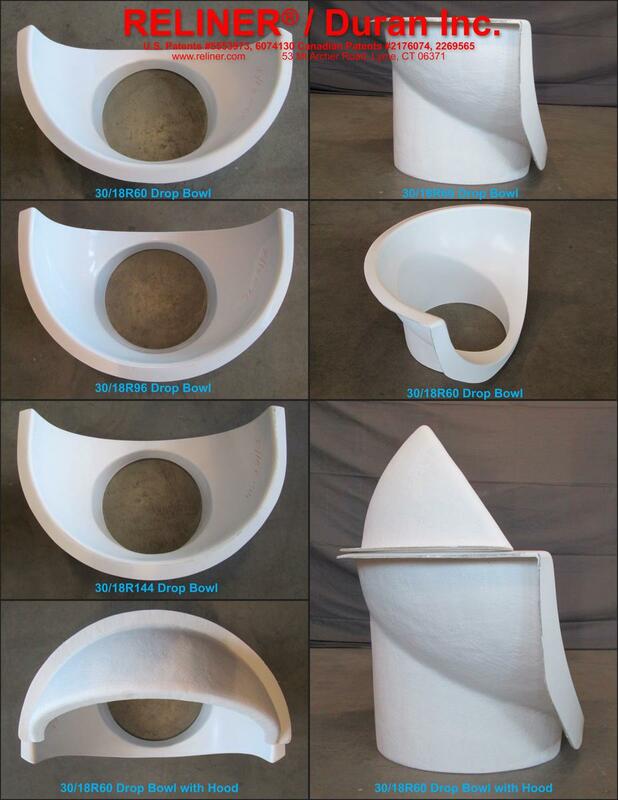 Inside Drop Bowl | RELINER® / Duran Inc. The low profile bowl is shaped to provide full access and inspection from above without reducing access to areas below. It is ideal for new service installations, micro-tunneled services, wet wells, as well as existing and failed outside drops—and when used in combination with the RELINER Modular Invert System, it provides true fluid containment integrity. A Force Line Hood is available for force line inlets. 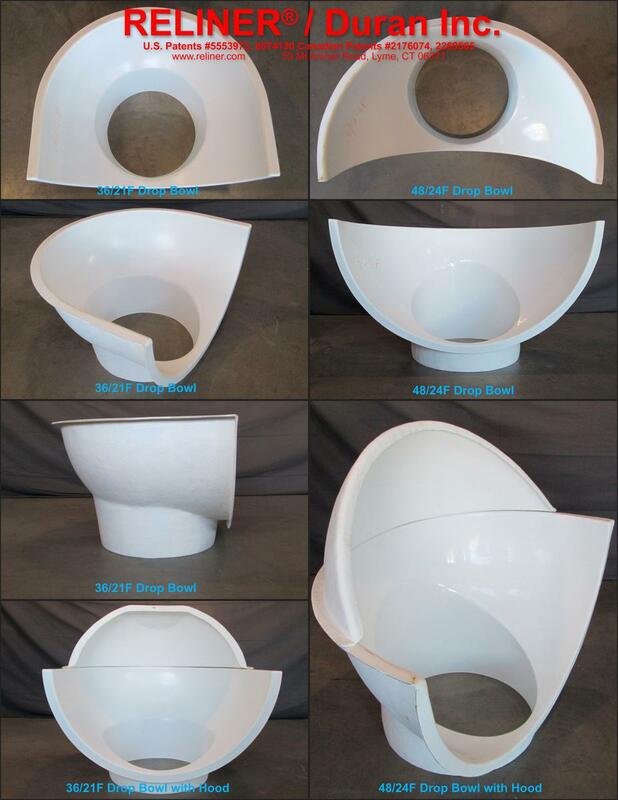 All sizes are for retrofit or new construction—fabricated in marine grade fiberglass and finished in bright white gel coat. 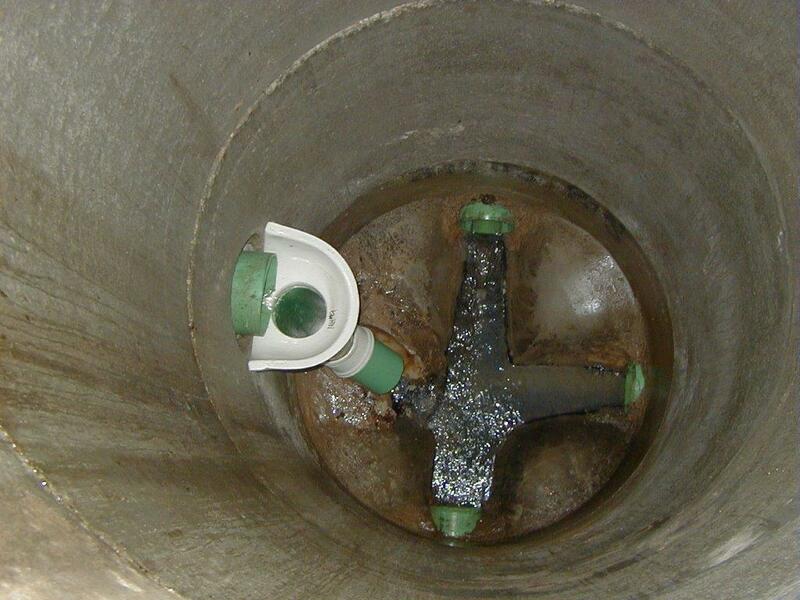 Drop Bowls are ideal for wet wells. They help prevent pump cavitation. "A" Drop Bowls: The "A4" bowl will service up through full 6" inlets. The "A6" bowl will service up through full 8" inlets. Can be used for 10" inlet moderate flows. A Force Line Hood is available to fit the "A" Bowl. "B" Drop Bowl: the "B8" bowl will service up through full 10" inlets. The "B-10" bowl will service up through full 12" inlets. Can be used for 15" and 16" inlet moderate flows. A Force Line Hood is available to fit the "B" Bowl. 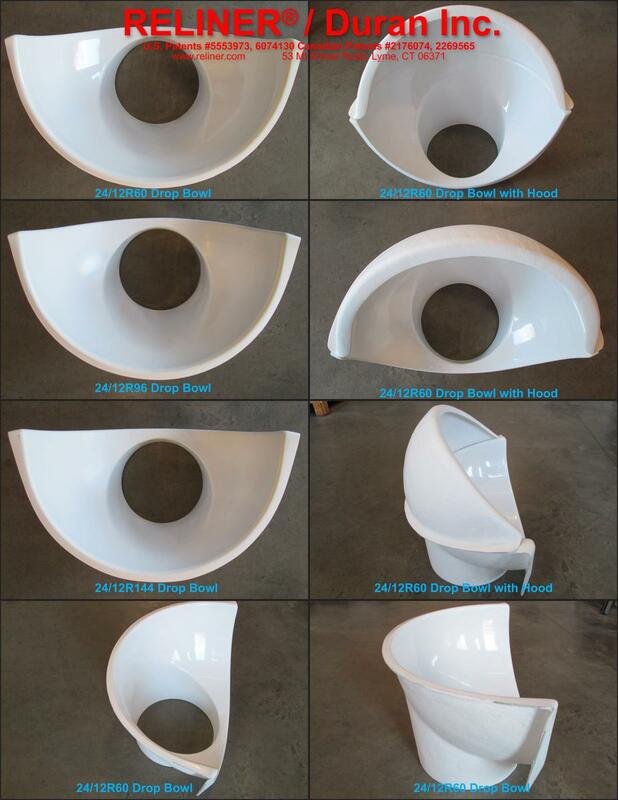 24" Drop Bowl: the "24/12" bowl will service up through full 16" inlets. The "24/15" bowl will service up through full 18" inlets. Can be used for 21" inlet moderate flows. A Force Line Hood is available to fit the "24/12" & "24/15" Bowl. 30" Drop Bowl: the "30/18" bowl will service up through full 21" inltes. Can be used for 24" moderate flow inlets. A Force Line Hood is available to fit the "30/18" Bowl. 36" Drop Bowl: the "36/21" bowl will service up through full 24" inltes. Can be used for 27" and 30" moderate flow inlets. A Force Line Hood is available to fit the "36/21" Bowl. 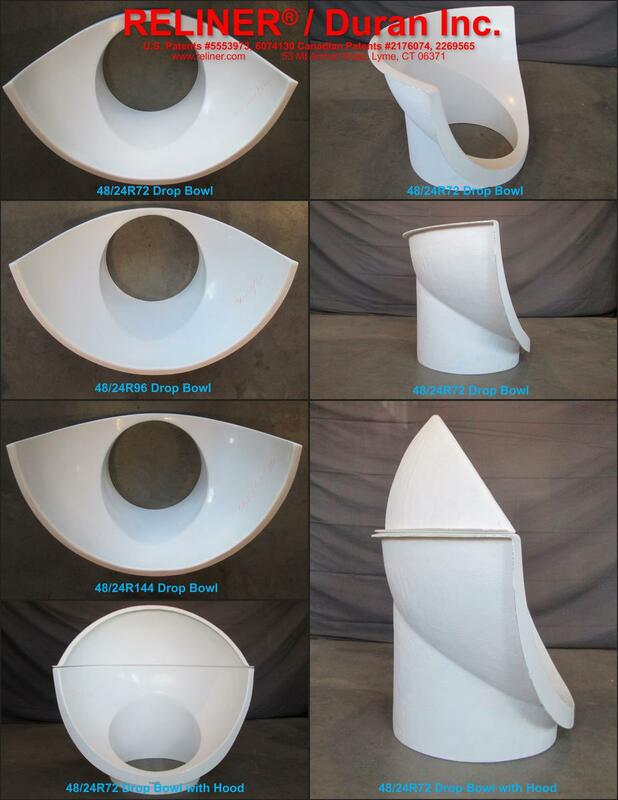 48" Drop Bowl: the "48/24" bowl will service up through full 36" inltes. Can be used for 42" moderate flow inlets. A Force Line Hood is available to fit the "48/24" Bowl.